The voiceover demonstration recording (voiceover demos) has taken on new meaning in the online casting world… or has it? To be honest, not altogether. What has changed is how we create it and make it available to potential clients. 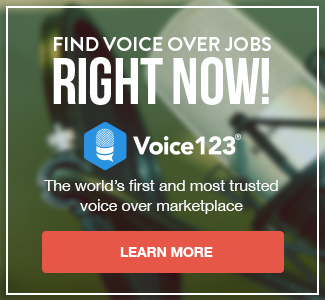 With the vast improvements in search engine technology and associated algorithms, professional voice-actors are now being discovered and hired online via simple Google searches. But just like it’s always been considered unprofessional to mail out bad demo-tapes to agents, you can’t afford making anything less than stellar recordings available online. (If you don’t know what a demo ‘tape’ is don’t worry; before the age of digitization, voice-actors would record their demos on compact cassette tapes – miniature reel-to-reel tapes inside a plastic housing. ). A bad demo cassette would end up in the trash with little harm done overall, but a bad mp3 demo that’s available online can get accessed by any number of potential clients at any time. Best you go out of your way to wow them from the start or you can kiss your chances of getting booked goodbye. It’s tough out there, baby. Capeesh? Don’t treat it as an audition. Treat it as if you are doing the final product. What is a demo exactly? Red flags and some proper motivation so you get your demo done! I am a beginner, but can I get started with your company? I was a Public Affairs Specialist and I enjoy narrating videos.